Perfect for massage, bath or to add a few drops to your diffuser. Also great for the first time perfumer, or a lovely gift for a friend. 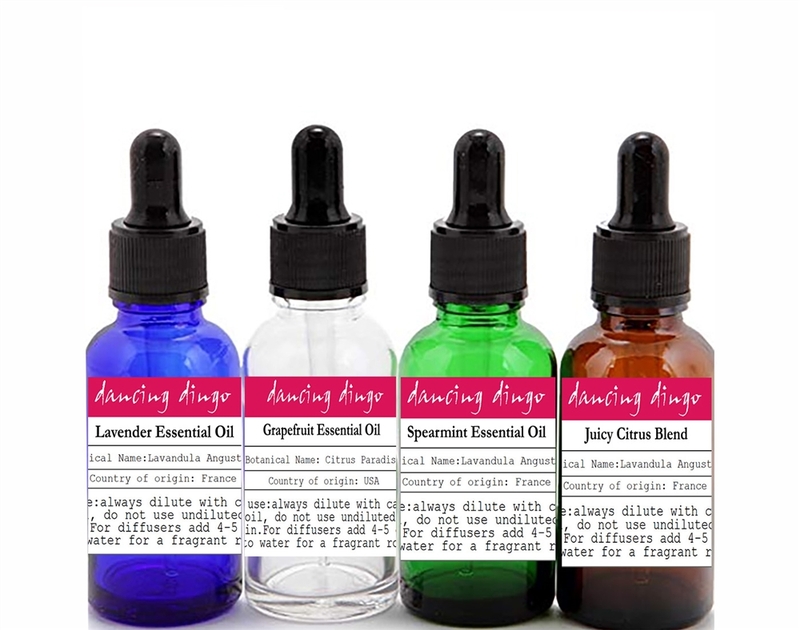 Each 1/2 oz bottle contains pure essential oils with unique and full bodied aromas. Enjoy natural oils with our diverse selections of essential oils and blends. FLORAL BLENDS - Essential oils derived from flowering botanical sources are referred to as floral scents. SPICY - Aromatic and stimulating, spicy essential oils can invigorate any environment. SWEET - Some of the most popular essential oil scents are sweet scents. CAMPHORACEOUS - Strongly aromatic, almost medicinal scents. Add directly to bowl of an essential oil burner with additional carrier oil. Add 10–12 drops of essential oil for every 1 oz (30 ml) of carrier oil for massage. PRECAUTIONS: Not for internal use. Keep out of reach of children. Avoid contact with eyes. If pregnant or nursing, consult your healthcare practitioner before using. Natural essential oils are highly concentrated and should only be used with care.